The earthy tones of brown always seem to have a calming effect on the senses and also look quite chic when used in home decors. This could be one of the main reasons why many people love to do up their bedrooms in different shades of brown. The color actually adds a classy touch to the whole room, giving it a royal look. However, it is important that you accessorize the bedroom correctly so that the cozy shelter looks amazing. Need some help in creating that perfect look? 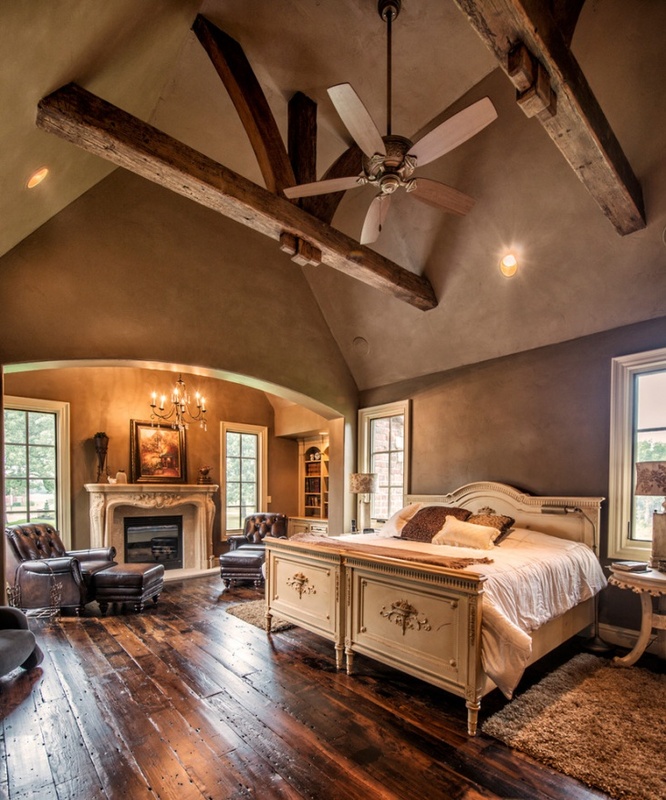 Take a look at some of our brown bedroom designs to get ideas. 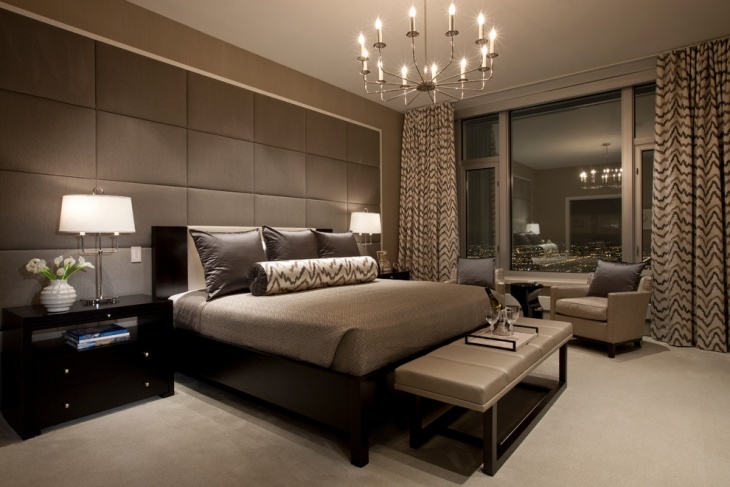 Give your bedroom an elegant look with this brown bedroom design. 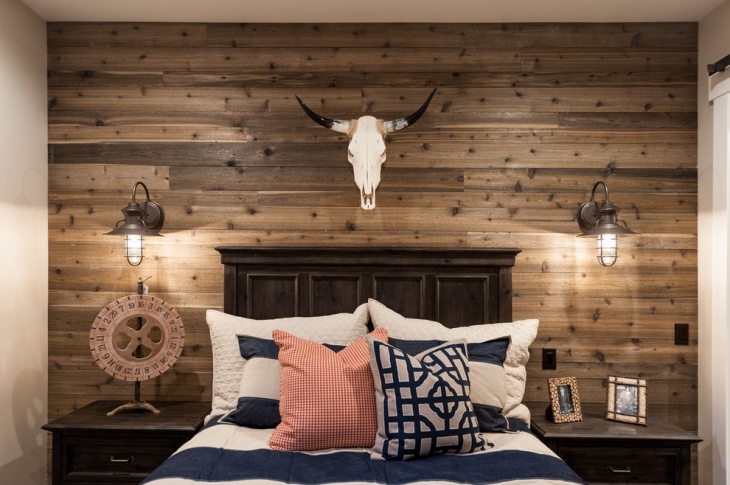 Wood panel your walls in a lighter shade of brown and add in curtains in a darker shade. Choose a similar shade of hardwood for your bed. Neutralize the colors by using a white bed and pillow covers. Pick a light brown comforter cover. For a more royal look, add in throw cushions with satin cushion covers in gold and beige. Bring in a cool quotient to your brown bedroom with this design. Paint your bedroom walls with dark brown shade. Decorate the walls with pencil drawings in golden frames. Place an elegant teak wood bed and cover it up with white bed covers. Add a touch of brightness by choosing bright colored pillow covers and a beige comforter. A bright colored table lamp with a white lampshade placed on the bedside table can complete the look. 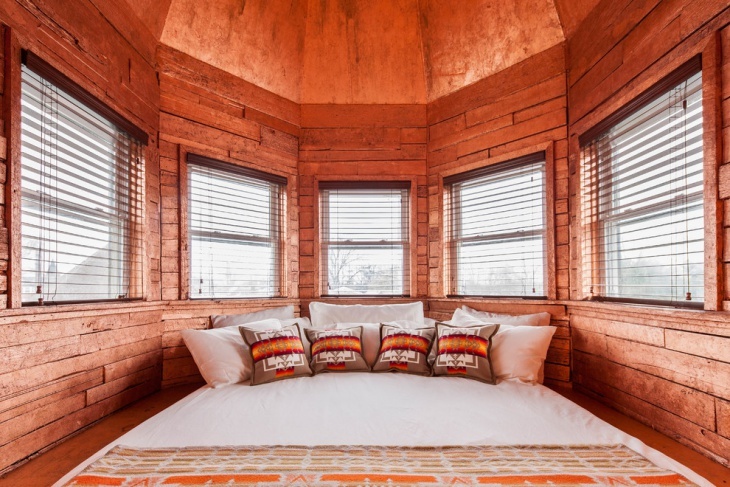 Go for bamboo blinds for the windows to give the room a rustic elegance. If you want to give your bedroom a royal look, then this is the right design for you. Coat the bedroom walls with deep brown paint. Go for a rosewood bed with white dressers on either side. Add in white lampshaded reading lamps. Color the door and window panels in white. Cover up the wooden floor with a rug which has white and brown patterns on it. Use white bed and pillow covers with brown borders to complete the look. Place a crystal chandelier above the bed to complete the royal look. If you love mixing and matching colors to create a balanced look, then you are sure to love this brown bedroom design. Paint one wall of your bedroom in a dark brown shade and others in white. Add in a false wooden ceiling. Cover the windows with white or cream colored curtains that have brown patterns on them. Pick a white bed and pillow covers for your bed and thrown in some dark brown cushions. Go for a multicolored comforter that will balance the earthy shades and give your room a vibrant and happy look. 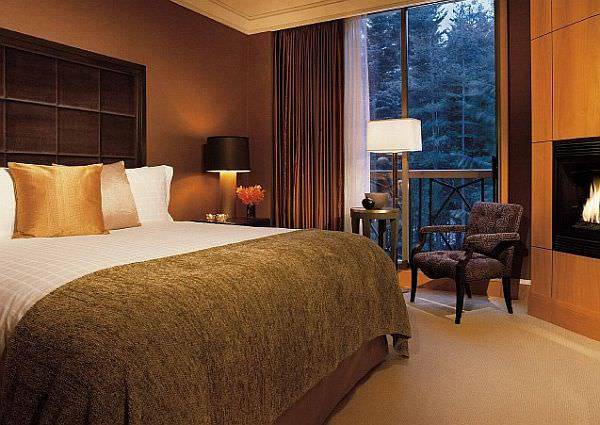 Use this brown bedroom design to give it a classy look. 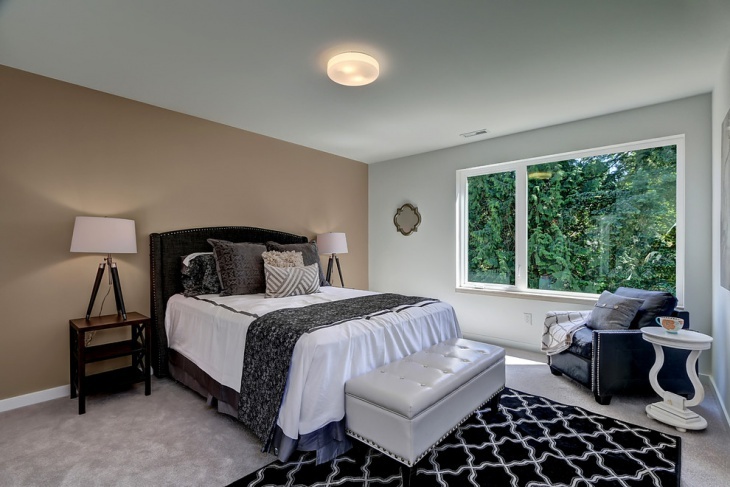 Paint your bedroom wall a dark brown and go for a white shade for the roof, doors, and windows. Place a white paneled bed and add in two rosewood side tables. Place crystal lamps with brown lampshades on them. Go for white bed and pillow covers. Pick throw cushion covers in white and brown. Add in a white couch with brown cushions to create a seating area. Cover the floor with dark brown carpet that has white patterns all over it. Choose white or beige curtains with brown borders for the windows to complete the look. Brown is an earthy color. When used in bedrooms, it generates a royal and classy feel. Choosing the right accessories is the key to creating a fine balance and get the desired effect. When decorating the bedroom, make sure that it is neither sparsely furnished nor overcrowded. Either of these would fail to give you that cozy feeling which is associated with bedrooms. If you have any other brown bedroom design ideas, do share them with us.